The food was delicious. The cabins were immaculate. The scenery was beautiful. The only thing I would have changed were some of the city tours. I understand the city tours were to give us a general overview or introduction to a city. Too often, I felt the buses drove past sites that would have been great to explore in person. Often, we didn't have enough time to come back on our own to explore the sites. Good things - Beautiful ship, Service was outstanding, Food was outstanding. Part of the scenery while cruising was astonishing. Relaxing friendly atmosphere on ship...we easily made friends to enjoy our time with. Budapest was breath taking beautiful and made the whole trip worth going. OK things. Many ( not all, buy many) of the ports of call had little to offer other than a church. Their "all inclusive" shore excursions amounted to little more than walking around a small town with a guide struggling to think of something to say.. and then the rest of the afternoon "was on your own"...which really meant theree was no included excursion. There were things that you could do, but these were not "included"--see below comment. Bad things - Some of the "optional" shore excursions really should have been part of the all inclusive package as the "included" excursions were really nothing.What was disturbing was one of the "optional" excursions that be paid $75 each for was what we understood to be an Viennese production of Mozart's Marriage of Figaro Opera. We found that we were transported not to the Opera district of Vienna but instead bussed 55 minutes to the very worst parts of town to an sweltering old building that they did not turn any ventilation on until the very end when people were complaining and watched a 90 minute performance by American college students. It was ok, but very amateurish and I think what else could we have done with $150 and a night in Vienna. The next day in the city we found several other "opera" companies trying to sell tickets for what appeared to be similar or better events at much nicer locations for almost half the price. So disappointing. I trusted Viking to make good decisions for me in a city that I knew little of and instead I felt they cheated me. We knew about low water levels before leaving the UK. Viking offered us a full refund prior to travelling. However, we wanted to see the towns and cities, so went. 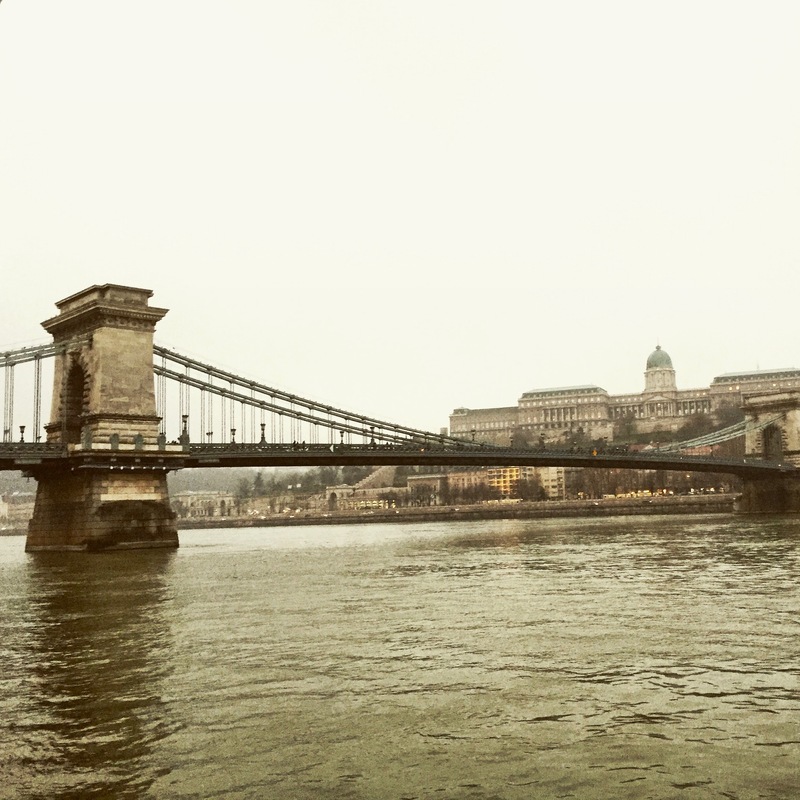 We stayed in Budapest for an extra 2 days at the Intercontinental , this was amazing, and we paid extra to have a room with a view over the Danube - well worth it. 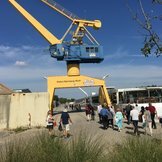 We spent one night in a ship in Budapest and were bussed from Budapest to Vienna and remained in a second ship for the remainder of the cruise. This was early Dec and we were the first Viking ship since June to get through. The crew were faultless, food excellent, visits and Christmas markets were brilliant. We know river levels vary, so we kept an eye on it and went with an open mind and had an excellent time. Very disorganized and unprofessional. Rude Management. Only docked at 2 out of 6 ports. Would never recommend Viking to anyone. Viking cruise line has it all! This was our first and definitely not out last. From the minute you step on the ship until you leave the red carpet was rolled out. The staff were so friendly, helpful and special. They made you feel like you were the on,y one on board. The from Lee, the Program Director to Janka our housekeeper there was never anything anything but smiles and caring ways. Royan with his knowledge of wines to Mariana making my special mixed drink to head chef and to Jo the concierge, professional all the way. I am thoroughly impressed with Viking and don't know how I would ever be persuaded to try another river cruise line. Hubby and I have booked our third one for next spring and are very excited to visit France on board a viking ship! I have done big cruses before, but this was my first river cruise with only 185 passengers aboard. We met some very nice people from Canada and the USA. The pre-cruise 3 day stay in Prague was wonderful--I will go back there again. The organization of the trip by Viking was well done. The excursions were well-planned with excellent guides. I went to cities which I would never have thought of going to. Going to a horse show in Hungary and for coffee & pastries at a private home in Serbia were great--both excursions I would have never done on my own. The veranda stateroom was larger than I thought that it would be with ample storage. The room attendant was very efficient. Though the food at breakfast, lunch, and dinner was good; I was just surprised that for the dinners we were not served more local cuisine with only one night of having food from the eastern European area. Service aboard the Jarl was always very good--everyone was helpful and friendly. The sound system for the live broadcasts from the lounge to the stateroom needs to be worked on--the speakers always sounded fuzzy as the people spoke on the microphone. I do hope that I will never have to go through the Bucharest airport (that was mass chaos at 6 AM), but that was not Viking's fault. We will just have to stay extra days to avoid the rush of a Monday morning departure. I will do another Viking river cruise--probably the Amsterdam to Budapest one--in the future. Overall this cruise was very pleasant and well organized. The initial documentation package was concise and provided us with all the information we needed, except to have small local coins or Euros available in the different countries for access to a majority of the public toilets. The one thing we did not like was the Airline or our seat selection on the flights arranged for us by Viking. We had prepaid the entire cruise months in advance and it seemed the seats we were assigned were the leftovers that are available at the last minute. We were able to change one flight but on all the rest we had to settle for at least one middle seat even though we paid for premium economy. The Premium Economy on Air France did not amount to more comfortable seats, though they were slightly wider and offered a few inches of more legroom than standard coach. We had much better experiences with other carriers premium economy in terms of seat comfort. The Viking Jarl itself is an excellent river cruise boat. The boat is newer, and as expected the rooms are smaller than ocean cruises, but it was perfectly laid out and relatively easy to move around in. 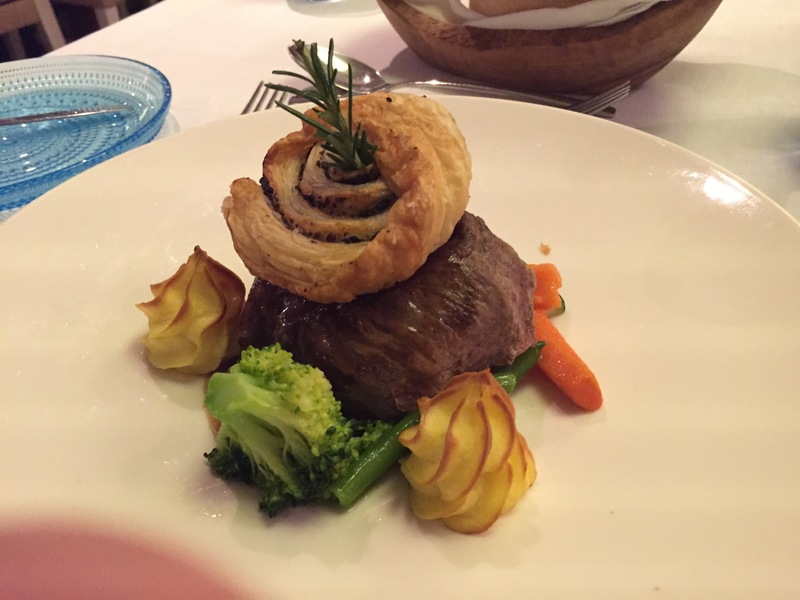 The food on board was very good, as good or better than most recent cruises we have taken. We would have liked to see at least one local dish on the menu each night. The one "local" night felt like it was a new idea that was not clearly explained to the staff or the passengers. The staff in all positions, were among the friendliest and attentive in any of the 17+ cruises we have taken. We tried moving around at dinner to take advantage of the open seating to get to know more of the other passengers, so getting to know the wait staff at dinner was a little challenging. We were able to find our favorite waiter for breakfast and lunch. Our room steward was among the best we had ever had take care of our cabin. She new our schedules and was in and out so quickly that we seldom saw her. Our room was spotless and looked brand new each day. The best part of this cruise were the shore excursions arranged by Viking. The 1/2 day city tours in our pre-cruise cities and each major city we visited were perfect in helping us quickly get the lay of the land and determining what we wanted to investigate in more depth. Viking recommended local restaurants were all spot-on for the nights we had dinner on our own. The selection of the cities and countries on this cruise were the reason we had chosen this as our first river cruise. The history, culture and the fact that our boat docked at most city centers made it an ideal way to get a taste of each city we visited. The highlight of the excursions was the planned home visit. We learned they were licensed B&B's, but still the discussion with our host was candid and no topic from family, religion, politics or employment opportunities was off limit. The refreshments were delicious but not as rewarding as sitting down and just talking with a local.